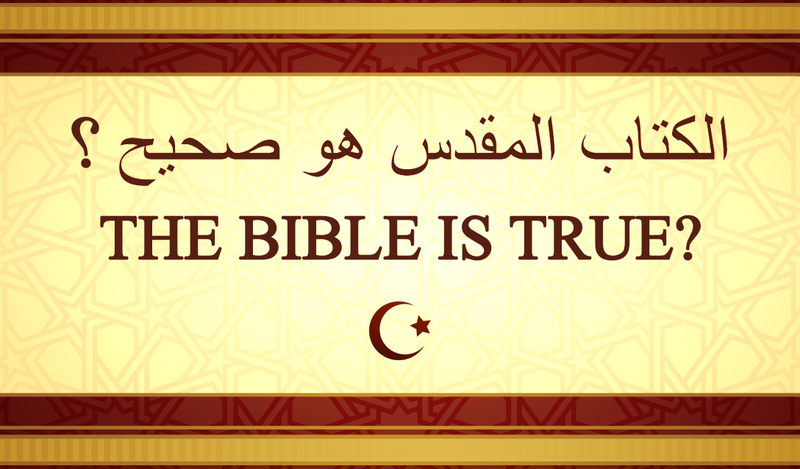 Home » Products » Muslim Tract: The Bible is True? The Qur’an is clear. The Word of Allah cannot be changed or corrupted. (6:115, 6:34, 10:64) The Qur’an claims the Bible is the Word of God. (4:136, 2:136, 29:46) The Torah is the reliable Word of God. (5:43) The Gospel is the reliable Word of God. (5:47) If the Torah and Gospel were corrupted, why would the Qur’an command Jews to follow the Torah and Christians to follow the Gospel? In The Life of Mohammad (397) by Ibn Ishaq, when responding to a group of Jews, the prophet agrees he believes in the Torah and follows the “religion of Abraham.” If Jews and Christians have mistranslated the Bible as many Muslims claim, why does the Qur’an say they only misinterpret and disbelieve it? 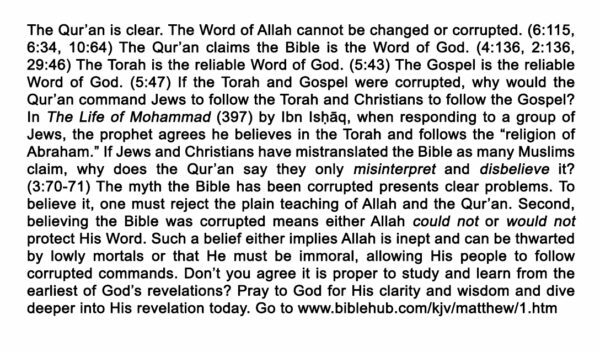 (3:70-71) The myth the Bible has been corrupted presents clear problems. To believe it, one must reject the plain teaching of Allah and the Qur’an. 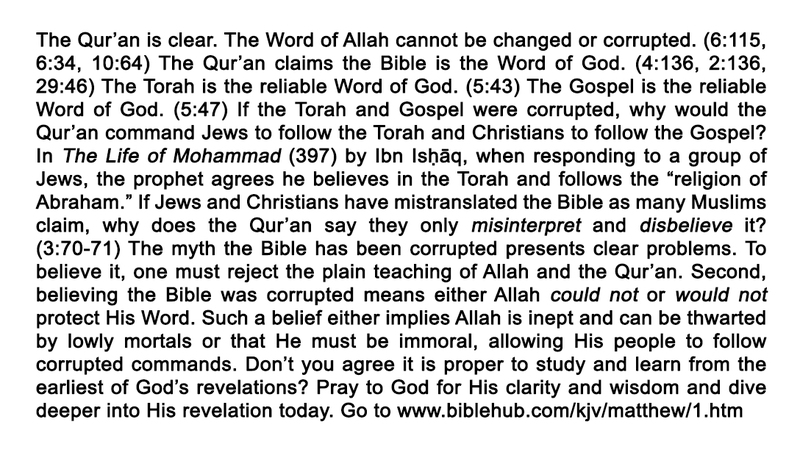 Second, believing the Bible was corrupted means either Allah could not or would not protect His Word. Such a belief either implies Allah is inept and can be thwarted by lowly mortals or that He must be immoral, allowing His people to follow corrupted commands. 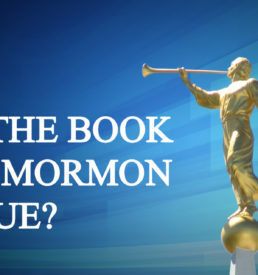 Don’t you agree it is proper to study and learn from the earliest of God’s revelations? Pray to God for His clarity and wisdom and dive deeper into His revelation today. Go to www.biblehub.com/kjv/matthew/1.htm.